The timeline illustrates three main colonizing events that shaped, or depending on how you look at it, interfered with the autonomous evolution of, the indigenous people that occupied these spice islands. Before the Philippines was named after that king from Spain these islands were known for the abundance of spices. 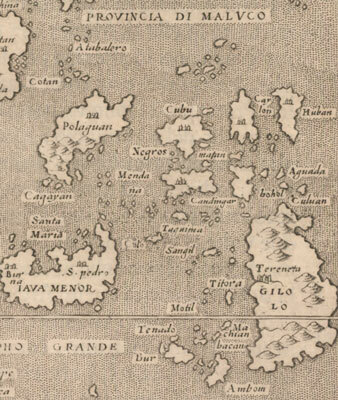 Arabs, Asian Indians, and Chinese that came to trade referred to these group of islands as the Spice Islands. The traders were received by well established Indo-Malay villagers established along the coasts. Sea-faring people eager for trade and open to build alliances. At one time the island of Luzon was governed as a province of China. Islamic influence spread throughout the south east. Buddhism and Hinduism influence came up from Borneo and Sumatra as traders and settlers from the Srivijaya and Majapahit kingdoms. Soon the Europeans caught wind of these spices and sent ships for trade. The Portuguese were the first to come to the islands and called the Philippines and Indonesia archipelago the Mullacus, the Spice Islands. Later the English, Spanish, and Dutch came and fought for control of trade and the era of European colonization began. One of the early spices to be traded from the Philippines was Nutmeg, a seed from the fruit of an evergreen tree native to the Philippines and the Indonesian Archipelago. Opening the fruit reveals the nutmeg seed surrounded by a bright red cage called the mace, both are used as separate spices. Cloves are the flowers of this tree and is also used as a spice. The popularity of the evergreen-nutmeg tree soon spread and was successfully transplanted by early traders and cultivated in other tropical regions around the world. I thought it would be fun to get off track and follow another spice trail, the migration of soy sauce. First originating in China then spread throughout the world, I found the spelling and pronunciations to be interesting as it catered to the language of each country. Imagine what it was like introducing the sauce to new customers and having them sound out the name. All sound similar with an accent.